I wasn’t sure if I wanted to write a review of This Lullaby just because it is extremely hard for me to try not to gush about how much I love this novel and try to give it an actual critique-type review. I am going to try though, but be forewarned: this is one of my favorite books of all time, so be prepared for gush. Let me start off by saying that Dessen does an excellent job of establishing Remy’s, the narrator, voice immediately. Not only is Remy a bit snarky, but she has some serious sarcastic and bitchy moments that really help characterize her for the rest of the novel. Remy has a rock solid group of girlfriends to spend the summer with before college, and a typical place to hang out and sneak drinks underage. I had all of these things as well. Probably one of the reasons when I read this originally when it came out I felt like Dessen was writing about my life and my initial love for the novel. 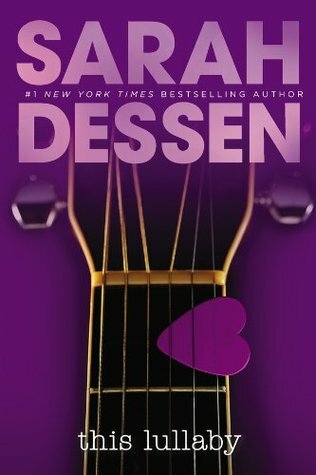 After reading it again, I find that I am impressed by Dessen’s story telling ability and the subtle growth that Remy makes as the book continues. Not only does Remy’s attitude start to shift, but she begins to become the person she needs to be in order to succeed in life. Dexter, oh Dexter. What can I really say about my first laugh-out-loud enjoyment and crush on a fictional character? This doofus would likely be the love of my life if he was real. The whole scene where Dexter and John Miller are discussing their respective relationships while sitting outside the QuikZip is brilliant. Kudos to Dessen to making such an endearing character so vibrant and, well, crushworthy. I will leave you with some of my favorite quotes from This Lullaby, and an active plea for you to pick up a copy of this novel as soon as you can. You will not regret it! 5 Bards to the story I’ve always loved and for the story I will always re-read.